Welding fumes are a mixture of metal fumes and gasses produced during the welding process. 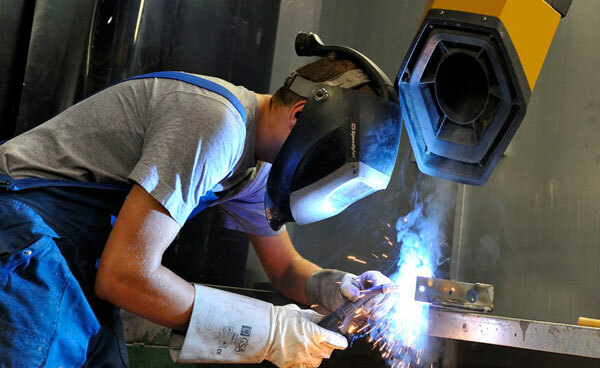 Exposure to different types of welding fumes may result in different health effects. If a welder inhales gases, fumes and vapors over long periods, this may have a negative effect on his or her health. Companies are obliged by law to keep welding fumes in the breathing zone of a welder below a certain limit. As welding fumes are potentially dangerous to people’s health, they should be reduced and/or extracted from the area where welding fumes collect. HPT Africa offers various effective solutions for the extraction of these fumes. Based on experience, gained over decades working in the air treatment business, Plymovent has developed a proven approach called engineered solutions. This approach ensures clean air in your working environment with a tailor-made, cost-effective and easy operating system. Investing in such a Plymovent system is investing in the environment and in your competitive future.